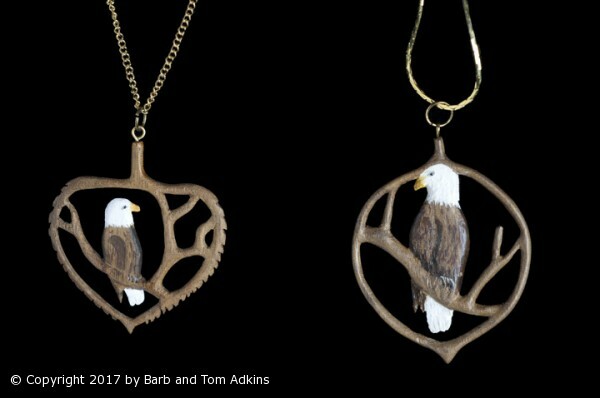 American Bald Eagle Necklace and Earrings, 2 sided Carved Necklace with a front and Back side of the bird in the tree. These are hand cut sculptures out of solid Walnut. Each is a relief with each bird has a defined wing and is defined from the branch it sits on. Each branch has to be individually cut and rounded smooth. There is a front and back to each bird.